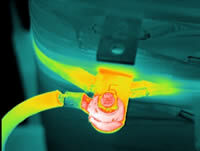 As the science of thermography expands, it continues to attract individuals and companies looking for business opportunities. Despite the acceptance of thermography, many companies struggle or fail at their attempts in offering this proven technology. Success in any consulting businesses requires a combination of technical and business skills and thermography is no exception. This course will focus on the fundamentals required to start, market and maintain an infrared consulting company. This material is intended for anyone wishing to start an infrared consulting business or to expand the service offerings of an established business. Course is designed for beginners and experienced thermographers.